We design our Panels keeping in mind the experience gained from installation contracts resulting in increased safety of personnel and equipment, ease of maintenance, installation and commissioning. The design incorporates a host of safety and convenience features. The MDB then feeds SMDBs, which is installed generally at the point where a large distribution cable terminates and several smaller sub-circuits start. 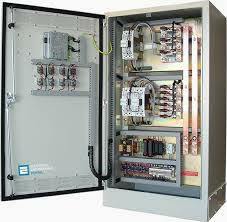 These are the switchboards that although similar construction, are larger than a final distribution board circuit. The boards are installed midway through the power distribution system, at the point in a large distribution cable ends, and several smaller starting sub-circuits. Rated up to 1250A . Rated operating voltage up to 690V. Type tested for 50kA/1 sec. Ample cabling space for easy connections. Panels for front or rear access to suit application. Index of protection : IP 44 & IP 54. Wall mounting or free standing to suit application. APFC Panel has microcontroller based programmable controller which switches the capacitor banks of suitable capacity automatically in multiple stages by directly reading the reactive load (RKVA) which works in the principle of VAR sensing tends to maintain the PF to 0.99 Lag. The capacitor banks may be selected in number of stages as 4/6/8 according to the load pattern. Install APFC Panel to avoid penalties and enjoy the benefits automatically. Distributed Control System is a specially designed control system used to control complex, large and geographically distributed applications in industrial processes. In this, controllers are distributed throughout the entire plant area. These distributed controllers are connected to both field devices and operating PCs through high speed communication networks as shown in figure. Discrete Field devices such as sensors and actuators are directly connected to input and output controller modules through communication bus. These field devices or smart instruments are capable of communicating with PLC’s or other controllers while interacting with real world parameters like temperature, pressure, etc. MCCs were designed for various market segments, fulfilling quality and performance requirements compared to the best products available internationally. Highly standardized, these products were designed to provide easy assembly, installation, maintenance and future updates. MCCs are certified according to IEC 60439-1 TTA/PTTA Standard and type 1 and 2 coordination, according to IEC 60947, ensuring, as such, highly reliable operation and maintenance. Programmable logic controller (PLC) control panels or also known as PLC Control Panel are one of the most important and efficient kinds of control panels. Which are generally used in variety of electronic and electrical circuit fittings. 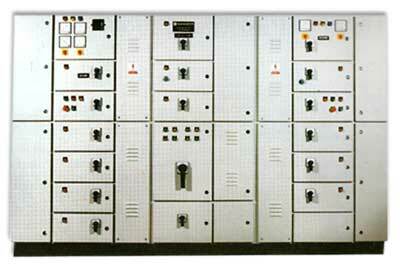 Plc control panels we manufacture are highly capable of giving higher output at less power consumption. Integrated with solid PLC logic and flawless PLC hardware programming. Control panel with PLC systems. 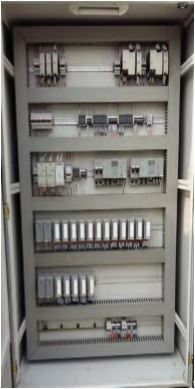 We supply drive panels which are widely used as speed controllers of alternate current induction motor. Widely used across various industries, drives are used to control the speed of motor by controlling frequency of supply. In drives, frequency and voltage are changed in same proportion for smooth performance of ac motor. 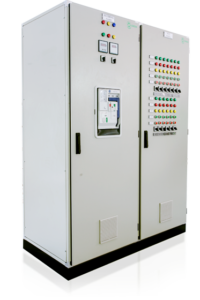 AC Drives up to 500kW panel. Bus Tie duct serve the channel for high power transmission (Up to 6300 Amperes) from the transformer to the main electrical distribution panel. The phase bus bars are highly insulated from each other using heat shrinkable sleeves that offer high insulation. M. S. Angle supports are provided for perfect fitting of the bus ducts. Electrolytic Copper metals are used as conduction metals for the bus bars. Up to 2.4-meter long bus duct can be manufactured in one piece. 2mm M.S sheet is used to manufacture the sheet metal box for bus ducts. Proper ventilation slots are provided on top and sides of the bus ducts. Proper spacing is provided between the phase bus bars. 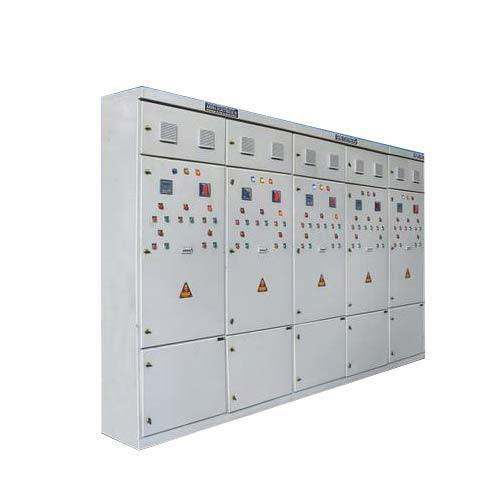 Synchronization panels are mainly designed and used to meet power system requirements. These panels function both manually and with an automatic synchronizing function for one or more generators or breakers. They are widely used in synchronizing generators and offering multiplex solutions. DG Panel should be in power on. DG controllers should be in auto. Day or night mode should be selected. DG controller should be in healthy condition there should be no alarm. Emergency button should be release condition. All mobs that behind the PCC panel should be on for acceptance command from DG controllers. All DG should be in healthy condition and ready for receiving the command from panel DG panel front door should be locked for safety. Automatic Transfer Switch (ATS) is an automated switching device that transfers load power to backup power during mains failure and back to its original state when mains power reinstate to the normal condition. It will have its own contacts, microprocessor to analyses the conditions whether power supply is normal or backup and need backup or mains power. Here “backup power” may become either Standby generator or another mains power or static power source like UPS. Provide and install automatic transfer & bypass-isolation switch (ATS / BPS) system(s) with number of poles, current rating, and voltage, withstand and close-on ratings as required by the system. Each automatic transfer shall consist of an inherently double throw power transfer switch mechanism and a microprocessor controller to provide automatic operation. All automatic transfer & bypass-isolation switches and controllers shall be the products of the same manufacturer. These switches shall be separate cubicle mounted and located as shown on the relevant drawing. Coordinate with the requirements of the rating as shown on the LV schematics. We deal in GI/MS sheet cable tray. AMF with MOR Control Panel.